When values collide and money is thrown in the mix, anything can happen. 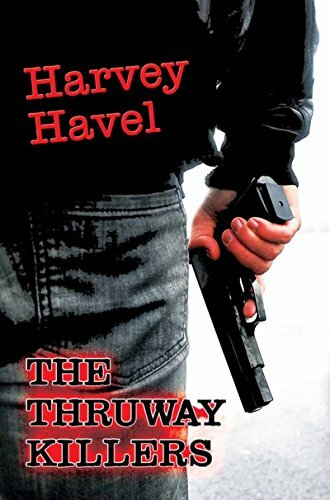 Author Harvey Havel is back with The Thruway Killers (America Star Books), a delightfully fast-paced crime novel that also points out the absurdities of our times. Havel does not shrink away from touchy issues of race and religion. Droogan McPhee is the eldest son of a prosperous businessman, and he lacks his father’s sense of propriety and drive to succeed. To his father’s horror, the unemployed, overweight, crack-smoking Droogan becomes romantically entangled with one of the family’s African-American maids. His father uses money to put a wedge between the couple, and Droogan is motivated to act. A botched murder plot follows, and Droogan and his beloved Angela begin their odyssey up the iconic New York Thruway, pursued by Agent Roderigo Rojas of the FBI and a mercenary named the Spartan. When Droogan slips into a shadowy religious cult, his problems begin to multiply. Havel, with an outsider’s perspective and a keen sense of fun, explores American cultural and political fault lines and whether crossing lines leads to ruin. Havel, born in Pakistan with family ties to India, is a prolific writer. His third novel, Freedom of Association, was published in 2006.Other novels include Charlie Zero’s Last-Ditch Attempt, and The Orphan of Mecca, Book One. He is formerly a writing instructor at Bergen Community College in Paramus, New Jersey. He also taught writing and literature at the College of St. Rose in Albany as well as SUNY Albany. Copies of his books and short stories, both new and used, may be purchased at and by special order at fine booksellers everywhere. 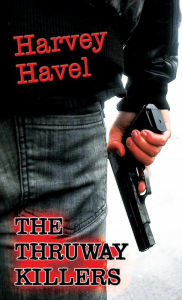 Harvey Havel has great attention to detail and makes everything from the setting, to the characters feel very real. It makes for a wonderfully written and very suspenseful novel. Definitely not for the faint of heart as this one definitely left me looking over my shoulder. Fast paced and filled with surprise moments. Harvey Havel, born in Pakistan with family ties to India, is a prolific writer. His third novel, Freedom of Association, was published in 2006. Other novels include Charlie Zero’s Last-Ditch Attempt, and The Orphan of Mecca, Book One. He is formerly a writing instructor at Bergen Community College in Paramus, New Jersey. He also taught writing and literature at the College of St. Rose in Albany as well as SUNY Albany. Copies of his books and short stories, both new and used, may be purchased at and by special order at fine booksellers everywhere.